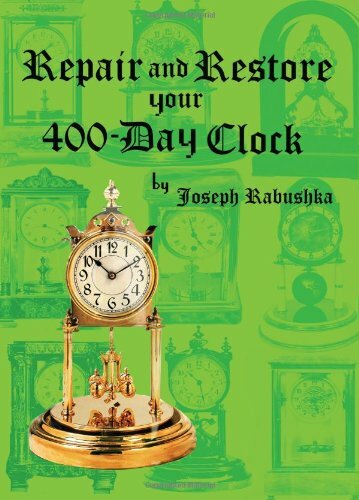 For additional information about this book, visit the website www.400-dayclockrepair.com. This is the most comprehensive repair manual that describes, in fully-illustrated detail, every aspect of 400-day clock repair for the novice as well as the professional. Providing detailed analysis of each part of the 400-day clock, Repair and Restore Your 400-Day Clock will teach you how it works, why it works, and how to determine when it is faulty. Two full chapters are devoted to the suspension spring alone, making this the most hands-on repair manual ever for the 400-day clock. The restoration of these unique and cherished clocks will bring an unparalleled measure of satisfaction to their owners.